Tips for choosing accommodation in Phi Phi. At the center of Tonsai village. Between 1 hour and 2 hours (eg if you plan to eat there). Free. Skewers and fried: 15 to 20 Baht. 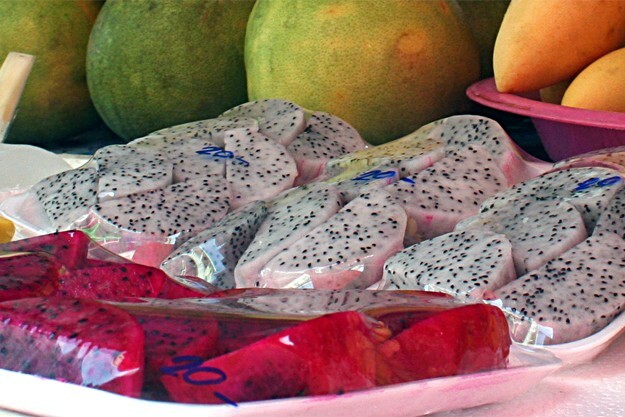 Fruit trays: 20 to 30 Baht. Between 11 AM and 1 PM, allow time to stroll among the stalls of Phi Phi market, meeting point for the inhabitants of Phi Phi, relatively unfrequented by tourists (but why?). The ideal time for a Thai lunch that women cook on their stand, in large woks in which meat, fish, rice, noodles, vegetables and fruits, quiver : sauteed, fried, in soup or salad ... 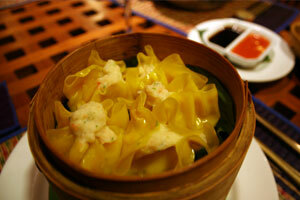 Some cooking tips in our "What to eat in Phi Phi? " On the shelves, the inscriptions are not always in English and you must dare to explore new tastes. Furthermore, it's very cheap ! Starting with the skewers of meat, fish and vegetables, which costs 15 baht, the sweet and savory donuts around 20 Baht and the tray of fresh fruit, which do not exceed 30 Baht. 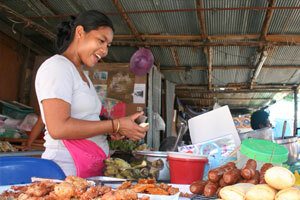 It is also an opportunity to get in touch with the people of Phi Phi! Please feel free to share your experience below! 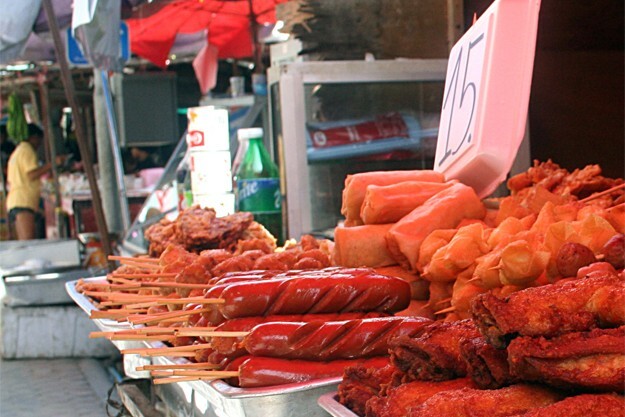 WHAT TO EAT IN PHI PHI? WHAT TO DRINK IN PHI PHI? MATERIAL PUBLISHED ON THESE WEB PAGES IS COPYRIGHTED AND MAY NOT BE REPRODUCED WITHOUT PERMISSION.